Gutter replacement from Penn Roofing, Inc brings you the best available options for protection from weather, leaves, and draining debris. Our gutters are effective, affordable, and of the highest-quality materials on the market. We serve Augusta, and surrounding areas. 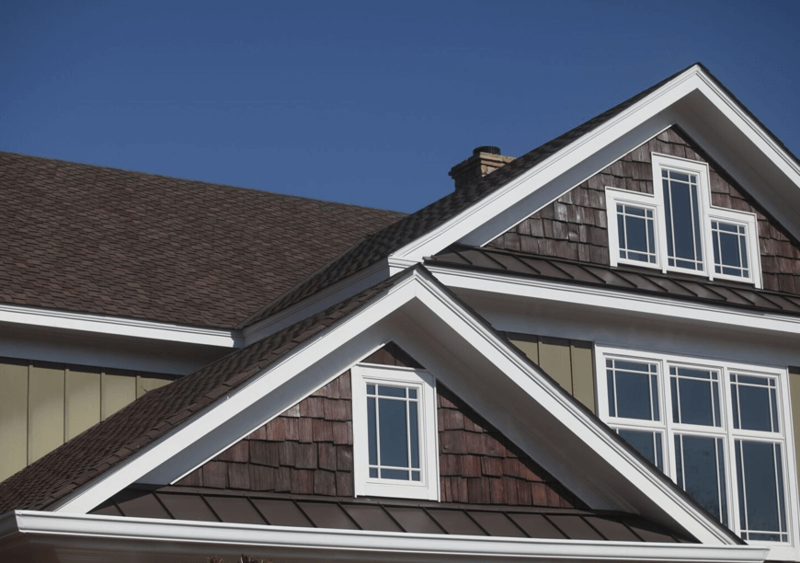 Penn Roofing, Inc works with you to install your new gutter system, knowing that gutter installation is often associated with extensive exterior residential and commercial property alterations. We can schedule the work to make sure the process is easy and convenient for you. 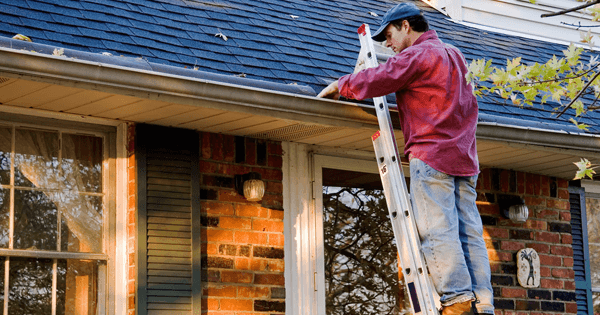 When you are contemplating whether or not your gutters need to be replaced, it is smart to look out for a few common symptoms of failing gutters. For one, gutters do an excellent job of redirecting water away from the base of your home. Gutters that aren’t working correctly will simply dump the water over the side and you will end up with puddles of water all around the foundation of your home. After a rain, walk around the perimeter of your home. If you start seeing large puddles around the outside of your home under the gutters, it may be time to think about gutter replacement. Every few months you should give your gutters a general inspection. If you see cracking, warping, or broken edges, that is a sure sign that you will need new gutters. At Penn Roofing, Inc we believe that being open and honest with our pricing is the best policy. We can schedule a time to discuss material options as well as a timeline for installation. We strive to be as accurate as possible so you can balance your budget. We understand that you want exceptional value for your money. That is why our experienced, professional licensed roofers will always provide quality gutter replacement services. When you call Penn Roofing, Inc you know that you can rely on our estimate and service to be reliable and trustworthy. For more information about gutter installation, repair, or replacement in and around . Businesses, just like residential homes, need their gutters repaired, cleaned, and properly installed to ensure the roof and structural integrity remain intact. However, companies do not make use of the same style of gutter system that a four-bedroom home might. The size and legal regulations vary drastically when compared between the two. Commercial gutter systems are built to be larger than average so they can handle more rainfall and extreme weather conditions. As such, these drains require extensive repairs on occasion from highly trained professional technicians. It takes a keen eye and a skilled hand to fix such a large gutter system efficiently. 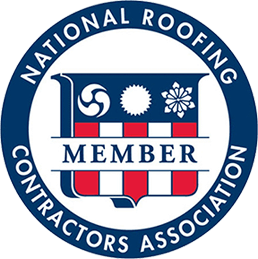 Our roofing professionals are the people for the job. We provide fast free estimates of our commercial gutter repair services, so you know exactly what you are getting. Quality will always come before our bottom line. The job is done right the first time, every time! What happens if the wood behind my gutters is rotted? When you perform regular annual maintenance of your roof, you should always be checking behind your gutters. The wood behind the gutters can collect condensation and begin to rot. Before you know it, you have a major problem that could cause your entire gutter system to need replacing. If you notice any bloating, cracking, or rotting behind your gutters, call the roofing contractors at Peak Roofing Systems right away. We can help provide you with guidance and an estimate for repair or replacement. If your gutters have required frequent repairs, you may be wondering about gutter replacement. Traditional gutter systems will last anywhere from between 20-30 years. However, if you notice significant cracks, holes, rust, or deep dents, it may be worth it to replace them earlier. If you are trying to determine if you need to replace your gutters, the best method is to hire a professional. The roofers at Penn Roofing, Inc can come to your home and complete a full inspection on your roof and gutter system. We then will provide you with an estimate for the work to be completed, and options if you need to replace your gutters. What is the average lifespan of a gutter system? The average lifespan of a gutter system depends on what material you have chosen. The most common type of gutter, galvanized steel, will last approximately 20 years. Copper gutter systems can last up to 50 years with proper maintenance. If durability and lifespan are something that is important for you when you need to install or replace your gutters, make sure to talk it over with your licensed roofing contractor. If you have questions, contact us at Penn Roofing, Inc and we can provide fast and efficient gutter installation on your roof. What is the proper degree of roof slope for my gutters to work properly? Ensuring you have a properly functioning gutter system at home is essential to protect against any flooding, significant water damage, eroded landscape, and other problems due to runoff water. Upon first glance, a hanging gutter system usually seems quite easy to install. However, the installation process is relatively complicated and may require an engineer to complete. Every drain needs some slope, also known as the pitch, to allow a downward path for water to flow freely. If a gutter is not sloped enough, the water will just pool in the gutter and spill over the sides. If you have a 25-foot section of gutter, your downspout end should be sloped 5/8 of an inch lower than the opposite end to allow runoff to flow smoothly. Our roofing technicians have done this before and know the exact slope necessary to reduce potential water damage and how to install the gutter properly. What could increase the cost of gutter installation? For an accurate quote of the cost to install a new drain, your best option is to call Penn Roofing, Inc directly and explain the job you want to be completed. When it comes to the actual cost of a gutter installation, numerous factors will play into the total. For example, the cost of material will play a significant role. Vinyl costs less than aluminum, and steel costs more than both of them. Copper is the most expensive material often used in a gutter system. One could also include gutter hangars, guards, and screens, all of which reduce future maintenance and repair worries, but they also increase the cost of a gutter installation further. The initial cost may be greater, but the long-term investment is usually quite clear. If you would prefer not to spend an exorbitant amount on repairs and maintenance down the line, opt for guards and screens today to protect your home and the whole system.